The Islamic city of Surt was, even at its peak during the middle and second half of the tenth century AD, a modest settlement. It was, however, a prosperous city, a commercial centre. In addition, it was a military staging place for the Fatimid invasion of Egypt. Volume includes an Arabic summary and a foldout plan of the site. Excavations were carried out between 1977 and 1981 which uncovered the heart of the town with its mosque and workshops. 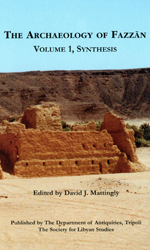 In archaeological terms, North Africa in the early medieval period is almost entirely unknown. This excavation report goes some way to shedding light on the subject and so is most welcome. The Islamic city of Surt was, even at its peak during the middle and second half of the tenth century AD, a modest settlement. It was, however, a prosperous city, a commercial centre with several workshops. All these were possible because the town had its own harbour in the nearby lagoon. Life was possible here since the town had water, partly collected in cisterns, partly because it had a few wells. Fruit and vegetable gardens surrounded the town. As a military staging place, it played an eminent role in the Fatimid invasion of Egypt. The excavations at Surt have greatly enhanced our knowledge of the life, material culture and history of North Africa, particularly during the early Fatimid period. A survey of the site was carried out by Prof. R.C. Goodchild shortly after the Second World War. Excavations were begun by the Department of Antiquities in 1965/66 which traced the city walls and its three gates. 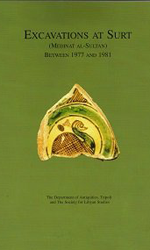 Further excavations were carried out under the direction of Geza Fehervari between 1977 and 1981. 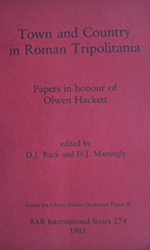 It is these excavations which this volume reports. They found the heart of the town, the madina. Large numbers of cisterns, a well, cess-pits and numerous bread ovens. Thousands of glazed and unglazed sherds and several complete unglazed vessels came to light, together with iron, bronze and glass fragments. A large number of iron and glass slag fragments were found, which indicated local manufacture of glass and iron. The plan of the mosque is typical of Fatimid mosques in Ifriqiya and the closest parallels are those of Mahdiya, Zwila and Ajdabiya. 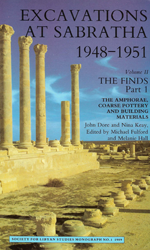 Volume includes and Arabic summary and a foldout plan of the site. £8.00 for members (£12.00 for non-members from Oxbow Books).